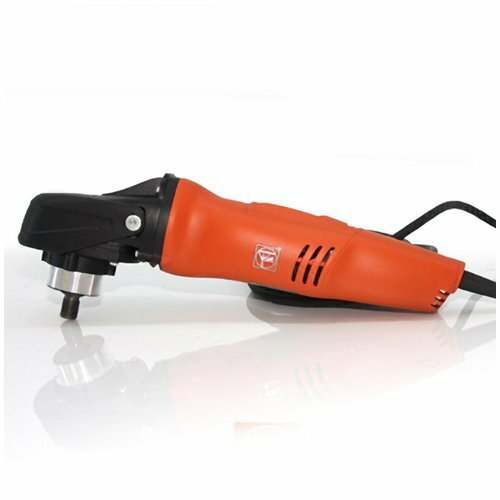 Fein WPO 14-25E is a High Power Motor Sander Polisher. The FEIN angle polishers in the WPO 14 range deliver impressive results to vehicle refurbishing and the automotive industry. The compact power packs are just as good at polishing vehicle surfaces as refurbishing painted surfaces. Extremely powerful angle polisher for refurbishing used cars with heavily weathered paintwork and polishing agents which require a higher speed. Polishing accessories with a maximum diameter of 250 mm. Mothers Powerball - Mothers Polish-Drill NOT Included.